I regularly ask graduate students if they are enjoying their graduate program at Laurier. The response is overwhelmingly positive. They enjoy our culture of learning and research. They appreciate the ability to find productive student-faculty relationships. They love that they have an opportunity to develop advanced skills and explore their passions. Sometimes, though, the tone of the conversation changes when the topic of financing their graduate education comes up. Students are sometimes not aware of the financial resources required to fund their graduate education. Students are largely unaware of scholarship and funding opportunities. No matter what type of graduate program you wish to pursue, you should be well informed regarding the cost of graduate studies before making your decision to enrol in a graduate degree program. Be sure to view our tuition and fees pages and estimate the cost of living in Kitchener-Waterloo and Brantford.  Financial support is available to students enrolled in full-time graduate studies at Laurier. If you're a domestic student, enrolled in a full-time research-intensive program, we guarantee competitive funding to help with the cost of your graduate studies. For students applying to professional programs, funding opportunities also exist and you should consult the program’s graduate coordinator. Governments and universities offer the opportunity for prospective and current graduate students to compete in scholarship competitions to help students finance their education and living expenses, to help students develop research skills, and to assist in the training of highly qualified personnel. Normally, a first-class average (A-/80%) is required, and depending on your program, you could be eligible to compete for $15,000-$20,000/year of scholarship support. Applying to these opportunities may make your application to a graduate program more competitive. More importantly, winning any of these scholarship competitions will help fund your graduate education (it also looks great on a CV!). I’ve listed some of our major scholarship competitions below. I encourage you to learn more about the scholarships for which you may be eligible. Be sure to apply. Don’t leave money on the table! The OGS program is jointly funded by the Province of Ontario and Ontario universities. OGS awards are merit-based scholarships available to graduate students in all disciplines of academic study (professional and research-intensive programs). An OGS is valued at a maximum of $15,000. Applications are due by Jan. 15, 2016 at 4:30 p.m. EST. The objective of the CGSM program is to help develop research skills and assist in the training of highly qualified personnel by supporting graduate students who demonstrate a high standard of achievement from undergraduate degrees and early graduate studies. The Tri-Agency has harmonized the application and administration of the CGSM. The following information applies to the CIHR, NSERC and SSHRC CGSM competitions. A CGSM is valued at $17,500 for 12 months. The application deadline is Dec. 1, 2015. Social Sciences and Humanities Research Council (SSHRC). Natural Sciences and Engineering Research Council (NSERC). Ontario Trillium Scholarship (OTS) (for international students). The OTS is awarded to international PhD recipients for a maximum of 4 years. Each OTS is valued at $40,000 annually and is renewable for an additional 3 years. Cherie Mongeon, Graduate Financial Aid and Awards Officer, completed her Master of Environmental Studies degree at Laurier and has worked at Laurier as a lab instructor and academic adviser prior to joining the Faculty of Graduate and Postdoctoral Studies. As a former Laurier graduate student, and from years of advising students, Cherie has developed a passion for helping Laurier students.